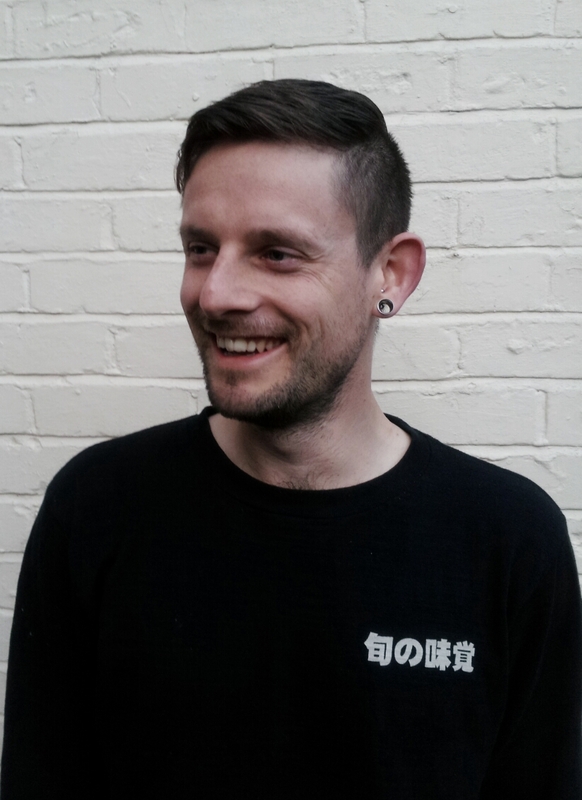 This month’s Yoga Manchester People blog features on Mysore Intensive student Simon Liddiard. Enjoy Simon’s answers and don’t forget to write your comments in the comments section at the bottom of the blog. I hail from Porstmouth, land of (relative) sun, sailors and bad clubs. I was lured to Manchester in late 2007 by a Siren in black – the grass was visibly greener on the other side of the Watford Gap, possibly due to the rain. After regularly visiting the city for a couple of years it was inevitable that I’d make it my home. Since putting down some fairly deep roots here – even as far as buying a house (with said Siren) – I’ve shifted my career from shirt’n’tie planner to jeans’n’tshirt photographer, a move that has been rewarding and challenging in dynamic measure. Beyond the day-to-day pleasures of living in a major city I enjoy a fair amount of reading, riding around on my bike like a teenager and the odd tipple (usually in partnership with the bike riding). Oh, don’t forget the yoga. Well, my rather large musical bag is almost completely filled by Spotify right now. I unashamedly pay the £10 monthly subscription and in return I have universal access to a massive amount of tunage. Sponsorship cheque in the post yet, Spotify? I have mostly been enjoying a diverse mix of everything, as befits any musically-interested 21st century dweller. I tend to lean towards the heavier end of the aural spectrum but I’m also partial to most things instrumental/ambient/experimental. Right at this moment I’m listening to Weezer. I don’t where that compulsion came from. Anyone interested in plumbing the depths of my collection can search for Simon Liddiard. I was tuned to yoga by my Taekwondo teacher K.Y. Suh as a way to focus the mind and increase flexibility. He knew what he was talking about, having taught the Pan-American Olympic team and the Paraguayan National Guard, but I short sightedly didn’t follow his recommendation. Nevertheless I was intuitively aware of the importance of a holistic approach to physical fitness and I always combined training sessions with a home-grown series of stretches, many of which I now realise were based on yoga asanas. Coincidentally when I met the Siren in black (2007) she had a regular hatha practice. Fast-forward a bit and we started attending Yoga-Manchester classes and workshops together. In fact, I now benefit from a live in yoga teacher, not that this encourages me to practice any more regularly. When I started practicing I had been though a few years of exercise-desert and too much dessert. I find the yoga learning curve is steep but progressive. I believe yoga helps correct some of the imbalances of a leisure-based existence and the body responds quickly to the good stuff! I do need to keep reminding myself that yoga is not competitive though. I’ve always enjoyed relatively good upper body strength and an ok sense of balance so I always look forward to the handstand towards the end of the Ashtanga primary series (everyone should try this sequence at least once to get an idea of the sweat-inducing properties of Ashtanga). Another reason why I like this posture is because it looks cool and I want to be able to show off. I’ve always wanted to be a bit like James Bond but more freelance. The party-political bureaucracy of working for M16 would do my head in. I would have to say the closest place to heaven in Manchester is probably the top of Beetham Tower. I’m being sarcastically literal because I can’t think of any one place I enjoy over the others – I’m easily pleased. When time travel becomes possible I will flit around the centuries armed with the knowledge needed to make some clever investments. I would also buy a load of art work from struggling, yet-to-be-dead/famous artists. I might also be persuaded to tinker with various bad historical decisions but then who am I to decide right from wrong? One must always be aware of the Grandfather Paradox.